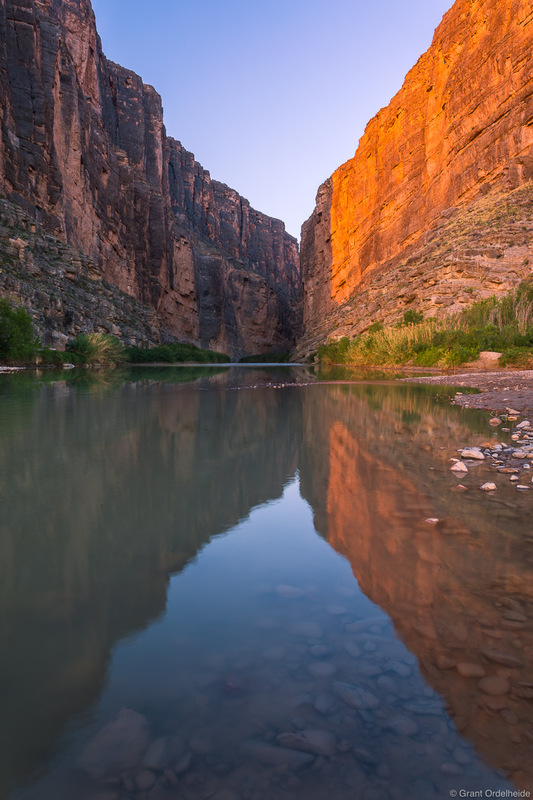 Sunrise over the Rio Grande river and the entrance to the Santa Elena Canyon in Big Bend National Park. This river and canyon from a section of the border between the United States and Mexico. Photo © copyright by Grant Ordelheide.